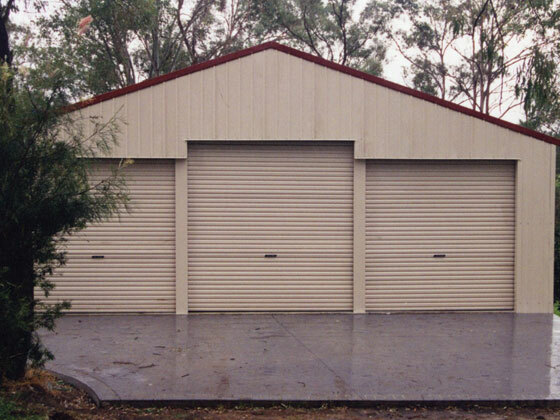 One of the most important visual aspects of your property is making the right choices of the garage design. The right design will add value and enhance the appearance to your property. We have a wide range of buildings designed to suit our customers needs, together with local council requirements. Standard shapes and sizes are available in KIT FORM or CUSTOMISED to suit your requirements. Full engineering and drawing service is also available. 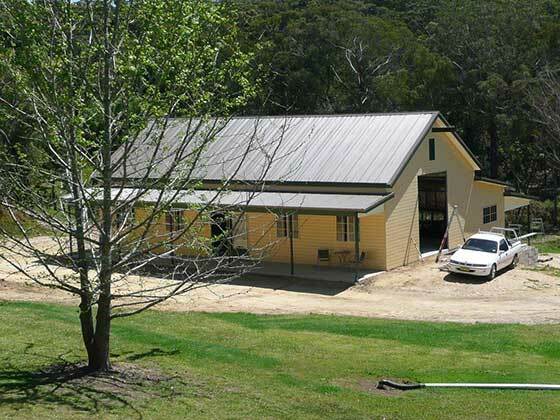 INCLUDES: Colorbond Steel ROOF & WALLS with all rainwater accessories to ground level. All complete with coloured fasteners & Colorbond flashings to suit corners, drip trays over doors & windows etc. A comprehensive range of Roller Doors, Panel Lift doors, Personal Access doors & Glass Sliding doors & Windows, Internal Walls & Rooms, Insulation, all availble on request. OTHER SERVICES: CONCRETING, GYPROCK, ELECTRICAL, EARTHMOVING, DRIVEWAYS (concrete: sandstone & metal dust, two coat tar sealed), all arranged by Gosper's or we can fit in around you if you'd prefer to build or concrete yourself. We can work in with the home handyman or builder. Click here to see photos of some designs available, or we can sit down with you and design what you want from scratch.